Note: This is a repost from 2011. Einstein's religious beliefs were a direct result of his love of Spinoza'a ethics in dealing with the dual questions concerning God and Free Will. Baruch Spinoza, like Einstein, was Jewish. Causal Determinism is the belief that the existence of a superior being reveals itself in the harmony of nature and the natural order of all things. Einstein was interested in Spinoza as a way of reconciling science with his own religious beliefs. 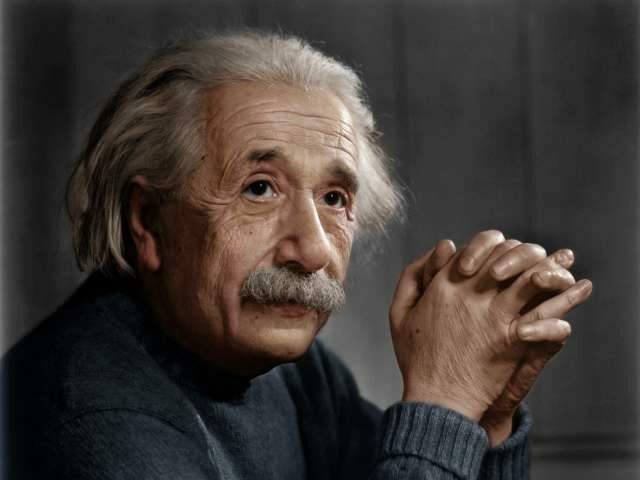 I think that Einstein would be in agreement with the words of the late Pope John Paul II when he said, "Science can purify religion from error and superstition. Religion can purify science from idolatry and false absolutes." I think he would have accepted that. I know that I do. It assumes the worst of both religion and science, while at the same time recognizing the strengths that each of the two bring to the human condition. In other words, it is a position of moderation. In November of 1920, Einstein traveled to Spinoza's home in Leiden, Amsterdam for a visit. He even signed the guest book. 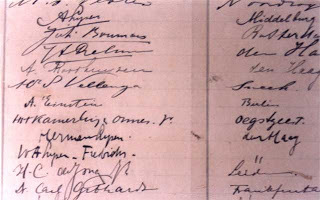 The signature beneath his is that of Harm Kamerlingh Onnes, the nephew of the famed physicist, who accompanied him on the trip to Leiden. The visit so moved Einstein that he later wrote a poem about Spinoza, titled, "On Spinoza's Ethics." I have reprinted the poem here, first in German, and then followed by the English translation. I have credited both translations to their sources at the end of each translation. The two lines in italics are ones which Einstein wrote and then put a line through, replacing them with the lines immediately following. I have included them here simply because anything Einstein thought, or wrote, must be important in some way, even if I do not fully understand it. The Latin phrase in the third line of the second verse translates as "For God's sake." Einstein uses the phrase here to call out Spinoza's aversion to faith alone, noting that the philosophy of amor dei "leaves him cold." Mein lieber Sohn, was fällt dir ein? Zum Erhabenen muss man geboren sein. More than I can say with words. My dear son, what ever were you thinking?